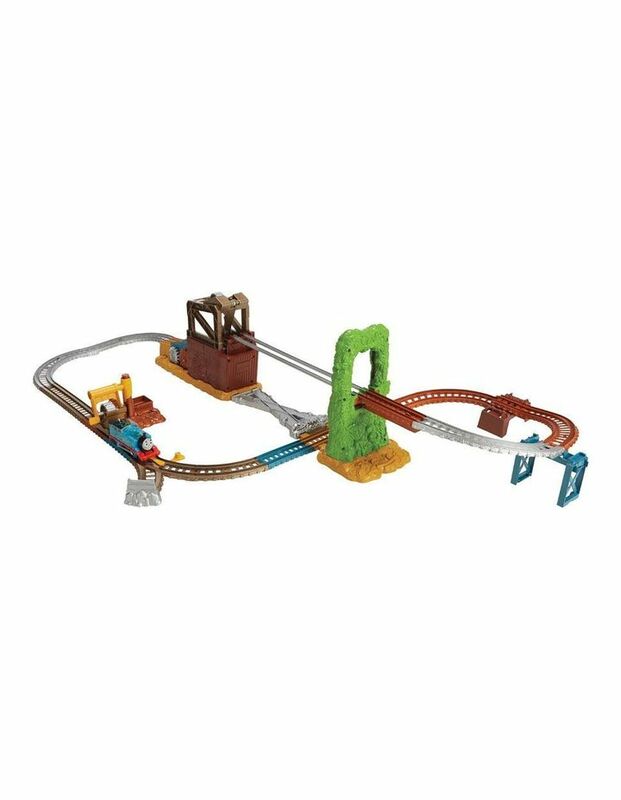 Complete Thomas & Friends train set includes motorized Thomas, cargo car, two cargo pieces, and full track layout with cable bridge crossing, Steelworks shack, and cargo grabber/holder. When Thomas reaches the first ledge, the cable bridge drops down. After crossing the cable bridge and entering the shack, a cog drops into Thomas' cargo car.